On a trip to Iceland in the winter of 2018, I painted in Whiteout Conditions. I hoped to see the neon colors of auroras in the north polar sky; however, the lights were hidden underneath a white cloud layer that merged with the surface of the snowy landscape. 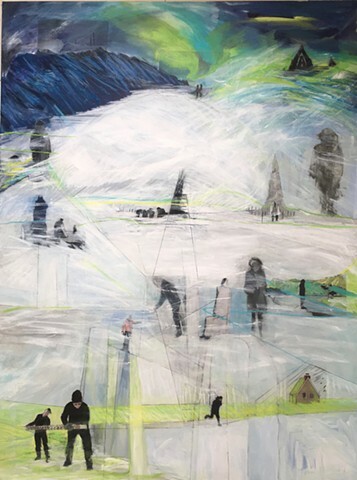 Colors appear to be pushed back, and then peek in and out of the white, slowly revealing a narrative.